Opiate addiction takes a major toll on your body, mind, and spirit. If you find that you can’t stop using opiates even though you want to or have tried to, Tampa opiate treatment through WhiteSands Treatment can help you end your opiate addiction for good and reclaim your life. Opiate addiction is characterized by the inability to stop using heroin or prescription painkillers even though using them is causing problems in your life. Even if you want to quit or try to stop using, you’ll find that you can’t seem to end the addiction for the long-term. That’s because addiction changes the way your brain functions, and it leads you to use compulsively, no matter what. Tampa opiate treatment is essential for ending your addiction once and for all. If you’ve developed a dependence on opiates, which is characterized by withdrawal symptoms that set in when you try to stop using, detox or medication-assisted treatment will be the first step in treatment. Withdrawal symptoms associated with opiates include sweating, abdominal cramps and diarrhea, nausea and vomiting, and body aches. These can be excruciating, and they make it even more difficult to stop using opiates. Tampa opiate treatment starts with medical detox or medication-assisted treatment to enable your brain function to return to normal so that you can focus on treating the addiction. Medical detox is supervised by medical and mental health professionals and involves medications that are given as needed to reduce the severity of symptoms associated with opiate withdrawal and shorten the time it takes to detox. Tampa opioid rehab centers offer a safe, comfortable place to detox from opiates. Medication-assisted treatment involves administering a daily or near-daily dose of a synthetic opiate medication that doesn’t have the same effects as heroin and painkillers but which keeps withdrawal symptoms from setting in altogether. While medical detox takes care of the physical dependence on opiates, it doesn’t reduce the cravings for opiates, which can be extremely powerful and may last months or longer. Medication-assisted treatment prevents cravings so that you can focus on learning essential skills that will lead to long-term recovery. Tampa opiate addiction treatment is designed to address all of the issues that underlie your opiate addiction, which may include chronic stress, a history of trauma, or a co-occurring mental illness. Addressing these issues is essential for successful long-term recovery. Treatment also helps you develop a toolkit of strategies and skills for coping with triggers like stress or cravings that can quickly lead back to using opiates. It helps you identify unhealthy thought and behavior patterns that have developed as a result of the addiction, and it helps you learn to think and behave in healthier ways. It helps you redefine fun and learn to relax and have a good time without drugs. It helps you find purpose and meaning in your life, based on your inherent strengths and values. Tampa opiate addiction treatment through a high quality, holistic program like WhiteSands Treatment will offer both traditional and complementary therapies to help you address a wide range of problems and issues, including medical or legal problems, vocational or educational issues, mental health conditions, and relationship troubles. Tampa opioid treatment centers help you restore your life on all fronts so that you can enjoy a high quality of life and sense of wellbeing without opiates. 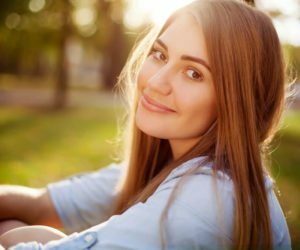 If you have an opiate addiction and are ready to end it for good, restore your life, and repair your relationships, WhiteSands Treatment can help. Call us today at (877) 855-3470 for more information about our programs, and embark on a new life free of addiction.